Carlos Iván Degregori, a beloved personal friend and colleague of the Inter-American Dialogue, where he served as a visiting senior fellow in 1996-1997, passed away in Lima, Peru on May 18 after a two-year struggle with pancreatic cancer. During his stay at the Dialogue, Carlos Iván focused on indigenous questions and also helped launch our work on democracy and inequality. He was an active member of the Dialogue’s Andean Working Group and wrote the Peru chapter in the Dialogue’s 2008 volume, Constructing Democratic Governance In Latin America. Carlos Iván was an internationally-renowned anthropologist, author, journalist, and public intellectual. 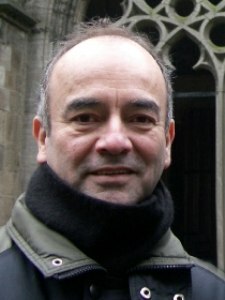 He was the head of the School of Anthropology at San Marcos University, the director of the Institute of Peruvian Studies, served on the Advisory Committee at the Social Science Research Council and the Executive Committee of the Latin American Studies Association, and was a visiting scholar at several universities around the globe. He is best known for his extraordinary contributions to the study of ethnicity, politics and the Shining Path insurgency. He was a leading member of Peru’s Truth and Reconciliation Commission that investigated human rights violations committed during the 1980s and 1990s.